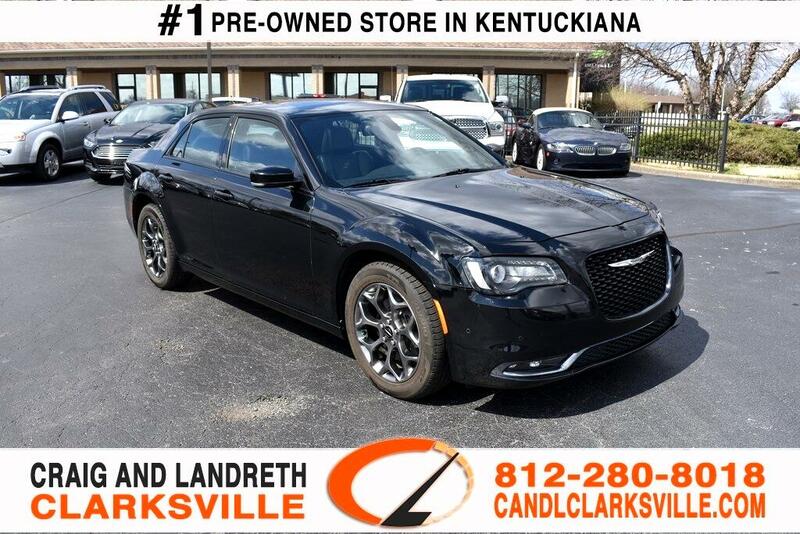 CERTIFIED BY CARFAX - NO ACCIDENTS 2016 CHRYSLER 300 S ** AWD/4X4/4WD ** COMES WITH A PHENOMENAL PREVIOUS OWNER AND THE SERVICE RECORDS ARE IMPECCABLE ** REMOTE START ** REAR BACKUP CAMERA ** 8.4-INCH UCONNECT SCREEN ** THIS IS A NON-SMOKER VEHICLE & GARAGE KEPT SINCE DAY ONE AND IT SHOWS INSIDE AND OUT ** HEATED LEATHER SEATS ** FACTORY NAVIGATION ** 300S PREMIUM GROUP ** PREMIUM 19-INCH BLACK WHEELS ** PANORAMIC ROOF ** BEATS AUDIO ** THIS CAR IS SITTING ON THE SHOWROOM FLOOR AND IS JUST AS NICE AS A BRAND NEW ONE AND THIS IS A FACT!!!!!! YOU WILL NOT BE DISAPPOINTED WITH ANYTHING ON THIS VEHICLE! ANY QUESTIONS CALL RICHARD SPAN, JAKE SMITH, OR JIMMY SMITH JR AT 812-280-8018!! WE'VE NEVER LOST A DEAL WHEN IT CAME TO PRICE OR QUALITY!! Chrysler 300 HAS BEEN INSPECTED BY OUR SERVICE DEPARTMENT WHO COMPLETED A 110-POINT REVIEW TO ENSURE QUALITY AND DID ALL THE ROUTINE SERVICE. WE HAVE THE CLEANEST PRE-OWNED VEHICLES IN KENTUCKIANA! LET US SHOW YOU THE DIFFERENCE.